I have to admit I’m late to the game on a lot of things. I read things, get a twinge about something I’m reading and push it to the side. Sometimes I’ll have a knee-jerk response about a subject, but it never fails that I often take the ball and run with it. That is doing some research and looking at the facts right away. If something really bothers me I figure then I’ll give it a good look over. I am lazy; is there no other way to say it? But when something bothers me, it really bothers me. There are times I read something, get a weird feeling (sort of deja vu) knowing something is wrong with what I’m looking. But my brain can’t connect the dots. That thought will bug me until I satisfy my brain and actually find out what it’s trying to point out. You could say I suffer from Homeritis Simpsoniash. Well it happened again this week. The law prohibits as a primary offense any driver from using an Interactive Wireless Communication Device (IWCD) to send, read or write a text-based communication while his or her vehicle is in motion. Defines an IWCD as a wireless phone, personal digital assistant, smart phone, portable or mobile computer or similar devices that can be used for texting, instant messaging, emailing or browsing the Internet. Defines a text-based communication as a text message, instant message, email or other written communication composed or received on an IWCD. Institutes a $50 fine for convictions under this section. Makes clear that this law supersedes and preempts any local ordinances restricting the use of interactive wireless devices by drivers. The penalty is a summary offense. The law does not authorize the seizure of an IWCD. The law goes into effect March 8, 2012, 120 calendar days from Nov. 9, 2011. The texting ban does NOT include the use of a GPS device, a system or device that is physically or electronically integrated into the vehicle, or a communications device that is affixed to a mass transit vehicle, bus or school bus. I first read it on various news sites, and something twinged in me. My knee-jerk was DOA, the law that is. Even reading about the law being proposed a while back without these facts my initial reaction was the same. We have a legislature, ignoring case study, facts and knee jerk reacting to a problem. The proverbial “Whack-a-Mole” legislation. That is legislation that doesn’t serve to fix a specific problem but appease the wheels that squeak the most. Back to the law, while I had that knee-jerk reaction of DOA I didn’t know the why. This is how my brain works, it points out the flaws and I have to do the leg-work. So I slept on the info and then came back to it and it the pieces came together for me. Simply put because of the wording of the law we have a law that will never work, and will never solve the problem it addresses. It’s half-baked so to say, and too late behind the times to matter. Let’s start with the intent, to stop a form of distracted driving proved dangerous. Yes that’s right, I agree with those facts. Texting while driving has been proven as dangerous as drunk driving. Now here’s the but, the laws already in place are not working. The laws are in fact increasing accidents. One of the reasons I’ve read is the fact that people who text are now hiding the phones, which can dramatically increase the risks. Also the enforcement and fines are having no effect, with fewer police out on the road today enforcement is harder. The intent is good, the implementation is just half-baked and wrong. There are many problems with the implementation. How does a police officer know you are texting? It’s going to be a guess on the officer’s part and I for one don’t want Judge Dredds on the street. The bigger problem is the complete ignorance of our lawmakers to technology. This is why I pointed out before that it’s not okay for people in charge not to know how the internet works, in this case it’s technology. I can see a point for having a person outside of the “forest” who can look at a “whole” picture but when you don’t have people advising them on facts then there is no “whole” picture to see. Everyone under this law is guilty right now, under the many interpretations I can find in that law, and I’m sure lawyers will have a field day with the swiss cheese. The law never takes into consideration automation. I can automate my phone send text messages based on GPS positioning. A simple “Hey Honey I’M HOME!” is now illegal under this law, even though I never touched the phone. I can have my phone read my messages to me, then dictate to it a message in response through voice. I’m guilty under this law. Waze is now illegal, it sends messages to other drivers of congestion. These for the most part are hands free uses of my phone that are now illegal, and as pointed out can be done without my interaction with the phone. The other problem is the possibility of cars being the source of illegality under this law. Because of how poorly it is written some things cars do could be considered now illegal. Depending on your interpretation of texting according to this law the car simply telling me a speed limit or popping up a message on the dash could be considered illegal. I could be wrong but the law covers integrated GPS as legal but says nothing of the other systems integrated into the car. You may say it’s a stretch to say this would be illegal. But it’s in how you define communication and how IWCD in the law is incorporating all forms of computing in essence. I mean how does the law deal with the new cars from Ford? Ford said his firm’s current crop of hi-tech cars were capable of utilizing offboard “cloud computing” to expand their abilities, performing tasks like directing drivers to the nearest coffee shops, checking their health and keeping tabs on their daily diary. One way to solve the law would be to define the devices more specifically. Or better yet scrap these laws because studies have shown they don’t work and actually increase accidents. And don’t even get me started with how it exempts certain vehicles and is not applied equally across all driving fields. Again going back to that study, the bigger point is made. We have legislators never looking to solve the root of the problem, at least passage of these laws is suggesting that. It’s almost as if they never want to solve the problems, instead having election day messages or passing “laws” to get election votes. As passing this kind of law ensures other laws will need to be passed, because again the root problem is never addressed. 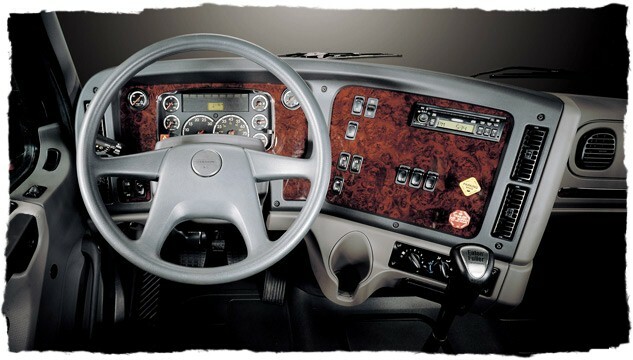 And that’s a bare minimum tractor dashboard. Mine had a few more switches. What I was taught was the seven second rule to monitoring my driving world. That is every seven seconds I should be able to scan my mirrors and gauges from left to right, right to left. I would have to in seven seconds have to identify any problems on the road. Another training tool was never to lock eyes with anything on the road. That is if you think another driver on the road is a problem, just staring at them is not going to help you. Another retired driver taught me to always find an out when I’m driving. An out being a way of not putting anyone or myself in danger even with imminent threat. This and more I would have to be constantly updating in my head as I drove. What I learned from training and advice from other drivers was that everything in my vehicle and outside of it was a distraction. What I really was being taught was how to handle the distractions before me. Everything in a vehicle, no matter how many wheels and axles, is a tool and a distraction at the same time. The gauges help people know things like speed, but if one were to simply stare at their speed they would crash. Looking at the road poses the same problem, a red light is a good sign you need to brake but if you had looked ahead and seen brake lights you would have had a better warning. Everything on the road is a tool to help you, but can be a distraction in the same breath if you weren’t trained in how to read the tools and how to use them. And that’s the real problem we have before us. While many will go around complaining we need solutions, those squeaky wheels, they really don’t want the real solutions. Too many of us want the band aid. Look at this law, there are many out there applauding the legislature, not even understanding the dangers this kind of law will bring. One of the reasons we never get real solutions to these problems is simply put the real solution costs us too much. Think about distracted driving for instance. To solve distracted driving the real solution is better training, which in turn would cost new drivers more money and time to become proper drivers. It would also cost jobs, as you start truly decreasing accidents and have better trained drivers on the road you wouldn’t need as many police officers paroling. Revenue from enforcement would also start to go down. And legislatures would not need to pass as many laws, being that well thought out legislation that address root causes would need very few updates. As it is, this law will become obsolete the second this generation of technology is dead. Good laws would have thought of those things up front. I’m saving this for another article, but I have seen too many times in my short life where we simply do not do things for the sake of safety when it comes to driving. There are so many other factors that seem to come before the word safety that I sometimes can’t see where safety is even a factor sometimes in these laws. When you have clear cut evidence that a law is going to not work the way you intended and you still push for it how are you serving the public’s best interest as a lawmaker? I would like to put a guarantee on accidents going up in the next year, but I know better. Time will tell if I’m right, but in the case of lowering speed limits in New Hanover accidents are already going up, which just happens to be another subject I’m going to tackle soon.